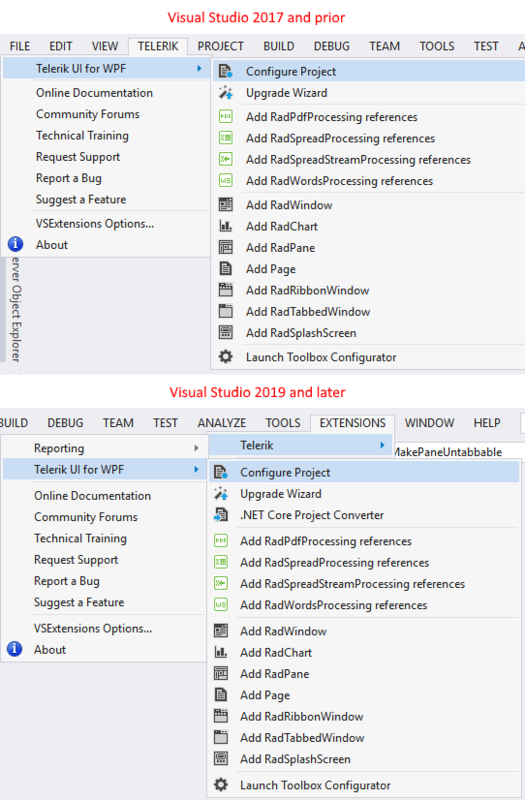 The wizard could be also reached through the context menu counterparts accessed by right clicking on the project you want to convert. Specify which assemblies your project would use. 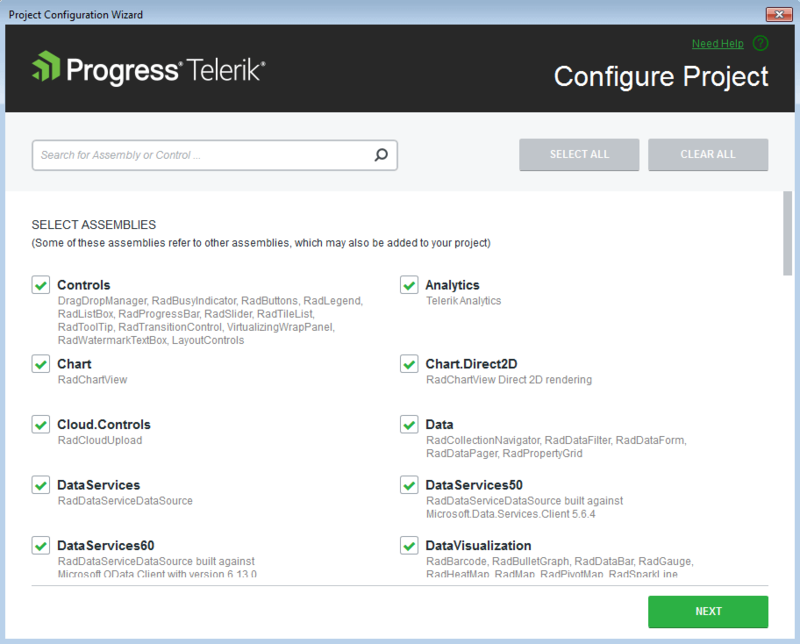 When selecting a Telerik UI for WPF assembly all dependent controls are selected automatically and vice-versa. A default application-wide theme gets set if you use theming based on implicit styles.